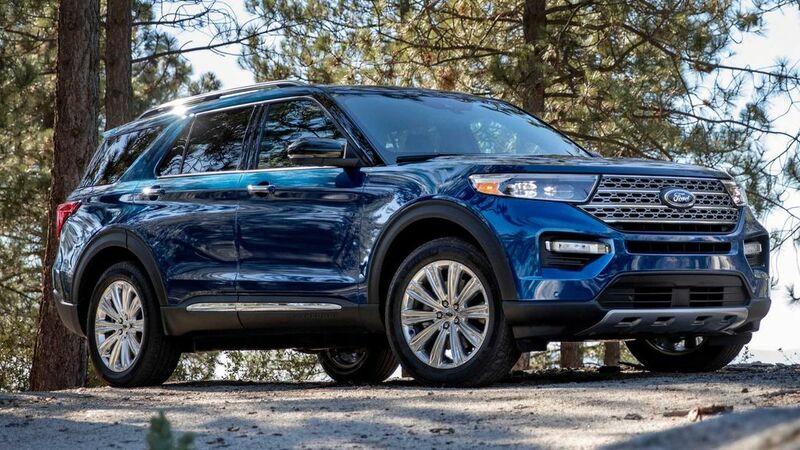 Ford officially revealed the sixth generation of Explorer at the 2019 Detroit Motor Show earlier this year and it is one of the most popular models of the company in the US. Now the company has introduced the Explorer in Europe for the first time and the American manufacturer will be offering the plug-in hybrid variant of the Explorer. The Explorer Plug-in hybrid model is powered by a new 3.0 L EcoBoost V6 petrol engine with 350 PS and an electric motor with 100 PS. The power for the electric motor comes from a 13.1 kWh battery pack and it is one of the biggest in its class. 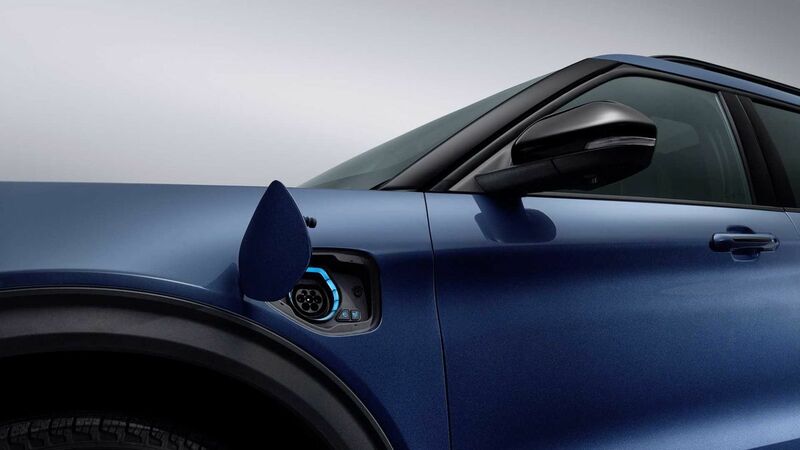 The charging port for the battery is positioned on the left side between the wheel arch and door. The combined output of the petrol engine and the electric motor is 450 PS of power and 840 Nm of torque. 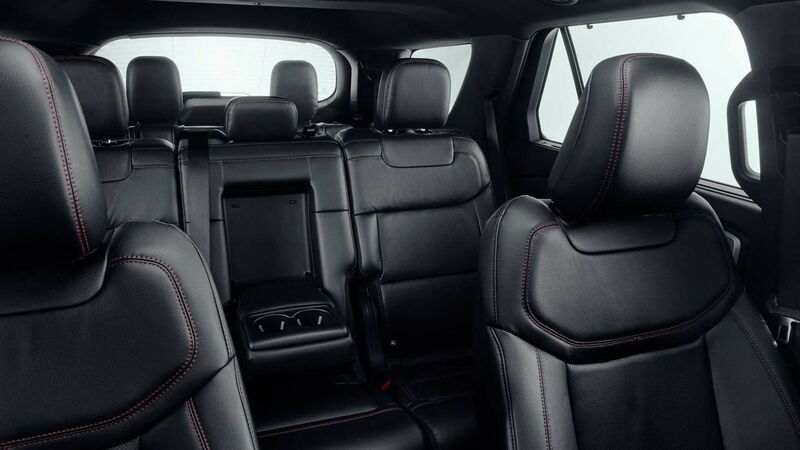 The SUV comes with 10-speed automatic gearbox and advanced intelligent all-wheel-drive technology. Ford has given a kinetic energy recovery system on the Explorer to charge the batteries on-the-go. The Explorer can drive in full EV mode for 40 km and the SUV comes with four driving modes for the electric motor – EV Auto, EV Now, EV Later and EV Charge modes. The Terrain management system of the Explorer has 7 driving modes – Normal, Sport, Slippery, Tow/Haul, Eco, Deep Snow and Sand. The instrument cluster has a special graphics for each mode. The exterior design theme of the Explorer is exactly similar to the American version and the new generation model is a rear-wheel drive SUV compared to front-wheel drive configuration of its predecessors. The exterior design theme of Explorer is similar to other modern Ford models as the SUV look premium and upmarket. The Explorer is a big SUV as it measures more than 5 metres in length, 2 meters wide and almost 2 m height. The SUV is loaded with features like 10.1-inch portrait mounted touch screen infotainment system with latest Sync software and 12.3 inches fully digital instrument cluster. Some of the technologies on-board includes Available Active Park Assist 2, Blind Spot Information, Pre-Collision Assist and more.